A compilation of research is exposing the entire flu season as one big scam perpetrated by national and international governments. The highest levels of conspirators orchestrate mass media campaigns while deliberately causing illness through national aerial spraying and inoculation schedules. Ironically, the goal is to promote intense influenza vaccination programs causing a perpetual cycle of illness timed every year when populations have the lowest vitamin D levels and consequently decreased resistance to infection. The use of aerial viral strains and nano delivery systems are now being utilized and fully implemented by governments with little regard or consequence to human health. Goverments are now finally admitting that geoengineering is a reality and have stated that despite any detrimental effects to our health, will continue these operations indefinitely. They've been called chemtrails, aerial spraying, aerosol emissions, cirrus clouds, among many other terms. The largest reports come from Canada and U.S. but it happens all over the world including countries such as France, Germany, New Zealand, Australia, the United Kingdom among many others. If you live in these countries, just look above you as you'll see them at some point throughout day or week. Often these jets leave just a thick wisp of a trail or they leave a long line of dashed trails and crossed patterns across the entire sky. Aerial viral strains are also directed towards animals by the use of plastic packets dropped by planes or helicopters. Sanofi (who is one of the largest vaccine manufacturers in the world) has subsidiary companies such as Merial Limited who manufacture Raboral, an oral live-virus poisonous to humans yet distributed wildlife in the masses. "In the United States, more than 12 million doses of RABORAL V-RG vaccine are used each year. Since the first use of RABORAL V-RG in the late 1980's, more than 100 million doses have been distributed around the world." At the beginning of the year, a KVUE news report indicated that the Texas Department of State Health Services would initiate an aerial vaccine drop of 1.8 million doses in January alone. Raboral V-RG is a poison because according to the material safety data sheet its ingestion, parenteral inoculation, droplet or aerosol exposure to mucous membranes or on broken skin is considered a health hazard exposed to infectious fluids or tissues. In 1987, controversy over the potentially detrimental effects of such activities on both the environment and human health led to 'Environmental Modification' (En Mod) weaponry being banned under the auspices of “The UN Convention on the Prohibition of Military or Any Other Hostile Use of Environmental Modification Techniques”. This ban was never fully enforced. However, interest in En Mod soon gained prominence when global warming warnings and accompanying environmental stress issues attracted global scientific interest. Most countries permit open air testing of chemical and biological weapons, which override any civil law. “The Secretary of Defense may conduct tests and experiments involving the use of chemical and biological agents on civilian populations.” It seems that ‘national security’ concerns can be used by the President to overrule environmental and public health considerations. One chemical known to be aerosolized in higher concentrations are barium salts. The following news report investigated chemtrail fallout. Mark Ryan, Director of a Poison Control Center in Louisiana also addressed concerns by chemtrail researchers on how exposure to barium can lead to immune suppression. "Soluble barium salts are highly toxic to humans," said Dr. Michael LaManna. "Even moderate exposure could certainly bombard the immune system and prevent an adequate response to foreign invaders." LaManna emphasized that any kind of immunotoxicity can interfere with the body's ability to fend off cytokine cascades from acute phase responses which can then lead to cytokine storms. The exact mechanism is explained here. A cytokine storm can kill a person in less than three days. Ethylene Dibromide (EDB) was used in past anti-knock gasoline mixtures, particularly in aviation fuel. Many attempts have been made in literature to discredit claims that EDB is still being used in aviation since it was supposedly banned by international treaties more than 20 years ago. However, according to the WHO, it is still used still used in large amounts for many industrial purposes in industrialized countries and still used as a petrol additive in some countries and pesticide/fumigant for soils, grains and fruits. It can still be used for any military application as required. Epidemiological studies of occupationally exposed workers show that exposure to EDB can cause pneumonia following damage to the lungs. Strong and consistent evidence from animal studies supports the conclusion that it is a human carcinogen. EDB has also been found to disrupt hormonal and adrenal functions. "Disruptions in adrenal function are a particular concern for the immune system," said endocrinologist Dr. William Goel. He explained that any disruption in the responsiveness of adrenals could directly affect cortisol levels, which could then affect the body's ability to deal with cytokines. Tests done in 1998 and 1999 by government-licensed laboratories on cobweb-like filaments, gel-like material and a red powder dropped over porches, power lines and patrol cars in Washington state, California, Oklahoma, Idaho, Michigan, Espanola and Pennsylvania have identified various pathogens, including bacilli and toxic molds capable of producing acute upper respiratory and gastrointestinal distress. Chemicals in the chemtrails may assist the viral envelope to fuse with lung cells, guaranteeing ease of penetration and infection. People will pass along the flu to others and then exponentially spread illness. This causes public officials to demand more flu shots for the population, thus accelerating the cycle. Persons not so inoculated are blamed for spreading the disease, however it is often the most vaccinated who are immune compromised, contract the flu and spread it the most. The reasons aerial spraying operations increase in the winter is due to longer exposure periods for viruses to linger in the air. 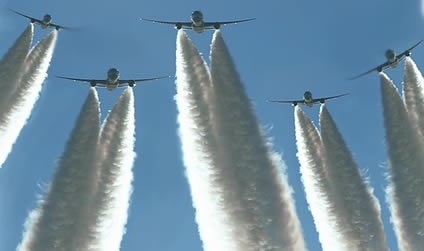 The combination between lower vitamin D levels due to lack of sun exposure, increased chemical toxicity between chemtrails operations and vaccine programs, as well as a more effective climate to host viruses creates the perfect cocktail of events for the spread if viruses. Cold, low humidity air dries out the nasal passages and makes virus transmission more likely. This contradicts the long-held view that the flu only spreads because of the immune system being less active during the winter. This is only one of many reasons. Some researchers have found that in winter, even the flu virus wears a coat, and it's a coat that helps the virus spread through the air. Tinkering with that coat might disarm the flu virus. "Like an M&M in your mouth, the protective covering melts when it enters the respiratory tract," Joshua Zimmerberg, PhD, chief of the cellular and molecular biophysics lab at the National Institute of Child Health and Human Development (NICHD) says in a news release. "It's only in this liquid phase that the virus is capable of entering a cell to infect it." In warmer temperatures, that coating doesn't form. So it's harder for the influenza virus to spread through warm air. Virologist doctor Peter Palese has been studying the effects of heat and cold on the flu virus. He found that at higher temperatures, the flu virus didn’t spread. “The virus is probably more stable in cold temperature, so it hangs in the air much longer,” Dr. Palese told Ivanhoe. Cold allows the virus to spread easier. Here’s how -- when we cough or sneeze, microscopic droplets of water and the virus enter the air. Dry, cold conditions dry out the droplets, helping the virus linger in the air. The dry air also dries out nasal passages, which helps the virus stick. “Cold dry air going over your nasal mucosa gets cracks in our airways and that allows virus to get in more easily,” Anice Lowen, researcher at Mt. Sinai School of Medicine told Ivanhoe. The 1918 Spanish flu epidemic arrived in the wake of World War I, with many populations depleted from several years of war and related economic stress. Evidence vaccinations caused the Spanish killer flu of 1918 including belief of Dr. Jerry Tennant that the widespread use of aspirin during the winter that followed the end of World War I could have been a key factor contributing to the earlier pandemic by suppressing the immune system and lowering body temperatures, allowing the flu virus to multiply. Tamiflu and Relenza also lower body temperatures, and therefore can also be expected to contribute to the spread of a pandemic. Both the CDC and WHO recommend Tamiflu despite the proof that it does not prevent pneumonia or the flu. The deadly 1918 Influenza Pandemic was the direct result of live-virus-contaminated Typhus Fever Vaccines mandatorily given to U.S. and Allied military personnel during World War I. These deadly typhus fever vaccines were manufactured by John D. Rockefeller's research labs and Chinese pharma factories. The vaccine "seed stock" consisted of viruses harvested from human typhoid fever patients, cross-injected into swine herds to create increased "seed stock", and then injected into chicken and turkey eggs for further incubation of the pathogens. The final, harvested "vaccine material" then was injected into hundreds of millions of human veins. The result was a massive 'pandemic' that claimed the lives of as many as 50 million people worldwide. The two strains of the H1N1 influenza virus responsible for both the 1918 and 2009 global flu pandemics did not cause disease in birds. The results of the study, published in the 2010 February issue of the Journal of General Virology, also showed it is unlikely that birds played a role in the spread of the H1N1 virus in these pandemics. Scientists from the Canadian Food Inspection Agency's National Centre for Foreign Animal Disease (NCFAD) in Winnipeg, Canada, together with collaborators in the USA, injected the 2009 and 1918 H1N1 virus strains individually into chickens. None developed flu symptoms or showed any signs of tissue damage up to18 days later, although about half the chickens developed antibodies against the 1918 H1N1 virus showing limited infection. The 1918 H1N1 virus also did not cause disease in ducks. The origin of the 1918 H1N1 virus was manmade and despite its genetic similarity to avian influenzas, the results of this study show it is unlikely to have jumped the species barrier from chickens to humans. In the last few decades alone, marketing tactics have become more aggressive for vaccines and public health officials spend millions to ensure the people are receiving their dose of neurolingustic programming, one of the easiest and most widespread methods of persuasion accomplished through specific tactics on radio, television, advertisements and educational institutions. Every year, influenza vaccine campaigns begin in September and go strong well into the new year. This year's campaign to have children and adults get their flu shots got an extra boost from some of the CDC's first encounters with social media. A recent study conducted by a research team at Bristol University’s Intelligent Systems Laboratory in the UK found that social media websites are tracking flu outbreaks region to region and using this as a platform to promote flu vaccines. Behind the scenes, hiding under their credentials and publications, biostatisticians have been a driving force behind the promotion of mass vaccination campaigns. Most of what they term "statistically significant studies" are little more than a great imagination based on junk science. I recently wrote on how every single vaccine is now being exposed for the lack of demonstrated evidence to actually prevent a single case of disease over a placebo. Most people fail to realize all vaccines carry a list of ingredients that typically increase human disease and death (i.e., morbidity and mortality). These include toxic elements and chemicals such as mercury, aluminum, formaldehyde and formalin (used to preserve corpses), MSG, foreign genetic material, and risky proteins from various species of bacteria, viruses, and animals that have been scientifically associated with triggering autoimmune disorders and certain cancers. A growing body of scientific evidence strongly suggests vaccines are largely responsible for increasing cases of autism and other learning disabilities, chronic fatigue, fibromyalgia, Lupus, MS, ALS, rheumatoid arthritis, asthma, hay fever, allergies, chronic draining ear infections, type 1 autoimmune diabetes, and many, many more pandemics. Note that for every single vaccine, the carcinogenic or mutagenic potential is never evaluated, or is the impairment of fertility. This means that none of the carcinogenic excipients (inside every vaccine) are ever studied and their effects on the human body are unknown. This declaration also indicates that there is no responsible authority that can state to a parent, that their son or daughter will not become infertile as a consequence of receiving the influenza vaccine. These chronic ailments are said to require long-term medical care for the patients’ management causing toxic side effects resulting in America’s leading killer -- iatrogenic disease. That is, vaccines and other pharmaceutical industry inventions are literally killing or disabling millions with little effort on the part of government officials and their drug industry cohorts to arrest this scourge. The creation of deadly new variants is only possible because vaccines contain live viruses, even though they are weakened forms, said Joanne Devlin, a lead author of a paper published in the journal Science. Different strains of influenza cause disease in humans and each type of virus is adapted to cause infection in its host. All cause similar respiratory symptoms. If flu viruses are passed back and forth between hosts and human contact through vaccinated and unvaccinated individuals, the mixing can lead to development of novel strains. As they have not encountered the virus before, the human population has little or no immunity to a novel strain which can easily cause infection and spread from person to person. Vaccines used to prevent respiratory disease in animals have been known to swap genes, producing lethal new strains that have killed tens of thousands of fowl across Australia. Few of us can forget about the orchestrated junk science and contradictions that dominated the World Health Organization's (WHO) pandemic statements and policies in 2009, however the Centers for Disease Control (CDC) held their own during this flu hoax. The CDC has been caught contradicting itself on the actual number of yearly deaths caused by influenza. For years, the CDC has been citing an annual estimate of 36,000 deaths from flu. That figure has been used to justify mandatory flu vaccination for children and has been parroted the world over by news organizations that never question its validity. In 2010, the CDC released new figures: rather than 36,000, the three-decade average is actually 23,607 deaths, a full one-third fewer people than previously cited. Even those figures were eventually exposed as fabricated and false. The CDC has always used a mathematical estimate based on an assumption that if a death certificate had “respiratory or circulatory disease” listed as a cause of death, then it should be counted as a “flu-related” death! The Journal of American Physicians and Surgeons has been highly critical of the CDC’s methodology. A closer examination of the CDC’s National Center for Health Statistics (NCHS) figures shows that in 2001, there were only 257 deaths directly attributable to flu, and in only eighteen cases was the flu virus positively identified. Between 1979 and 2002, NCHS data show an average of 1,348 actual flu deaths per year--a mere 5.7% of the “new and improved” estimate. 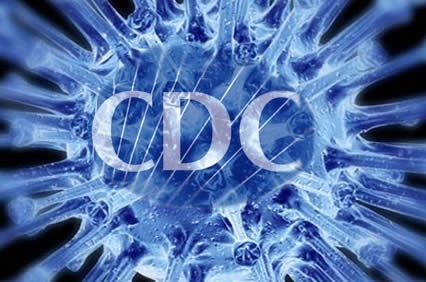 The use of the CDC as a front line operation to deceive the U.S. populace has been instrumental in communicating the flu hype. Tom Skinner, spokesman for the CDC stated "we're going to continue to stress that the vaccine is the most important thing that parents can do to protect their children." The CDC states that the vaccine viruses need to be an exact match of the viruses in circulation to be effective. It is virtually impossible for these manufacturers to produce and deliver these vaccines in the timeline they propose to match the exact viruses in circulation. It typically takes several years from the point of initial vaccine and preclinical development to human trials to marketplace, a process which the manufacturers claim is being done in months. It is all a lie. Before a vaccine enters human testing, the developer conducts laboratory (in vitro) and laboratory animal (in vivo) testing to determine whether the product will be safe enough for researchers to proceed to clinical trials. If a flu vaccine were to follow the standard development procedures, by the time it would actually enter the marketplace it would be useless, since the strain it was testing against during clinical development has now changed. This is the nature of vaccine development versus flu viruses and something the WHO, CDC and vaccine industrial complex will never admit to. Flu vaccines are never tested in humans before they are produced to scale. It doesn't matter what type of flu vaccine it is--it is categorically impossible to test a flu vaccine before it is mass produced on the scale that flu vaccines are manufactured today. Moreover, they estimate the probable strains meaning that 100 percent of influenza vaccines are a crap shoot in terms of effectiveness for any given population. Therefore, under a hypothetical scenario that influenza vaccines work 25% of the time (which is marginally high percentage for flu vaccine effectiveness), that means the maximum effectiveness of the flu vaccine would be 3.5% on influenza viral strains and not nil for ILI. The maximum success rate of the flu vaccine is 6.25% which is a pretty big under-achievement, considering that the average reaction to placebo injections of distilled water is 30%. The Cochrane Collaboration, an international not-for-profit organization providing up-to-date information about the effects of health care, has compiled data from 40 flu seasons worldwide. The institute has concluded from the studies that there is no clear evidence to suggest that the flu jab offers any more protection than cheaper, hygiene-based methods such as hand-washing. "Our analysis is compiled using millions of data from 40 seasons worldwide. What we have seen is that the influenza vaccine can at best have a very small effect," said Thomas Jefferson, one of the authors of the report, to the newspaper. - Governments have conspired and continue to conspire to create yearly influenza like symptoms on the population via very specific and highly organized operations such as aerial spraying and flu vaccination campaigns. - These operations intensify during winter periods to maximize the spread of flu viruses where they are the most active for the longest periods and during the most immunocompromised state of the population. - The goal of flu vaccination campaigns is two-fold; first to introduce foreign viral strains into human hosts which can lead to the development of novel strains, and second to further depress immunity and increase infection rates. Further research and investigations will be necessary to gain a broader perspective and understanding of diverse entry points for novel flu strains, how they are infecting populations on a large scale and how their introduction through new forms of technology may increase their transmission rates worldwide. This page contains a single entry by sal published on December 12, 2012 11:59 AM. Codex Committee: “You Can’t Tell People that Food Prevents Disease!” was the previous entry in this blog. Fluoride Detox: Ousted as Poison, Here’s How to Get it Out of Your System is the next entry in this blog.